We invite you to join us in Group Energy, in the Loving Support of Divine Beings, for this Magical Playshop, exploring your MultiDimensionality! Have you ever got up in the Morning with the question: “Who am I today?” or perhaps looked in the mirror and didn’t recognize or feel like yourself? 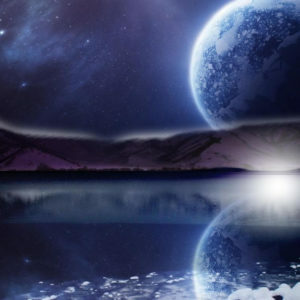 While these experiences are somewhat advanced, know that much of what is going on individually and collectively, are about interfacing with various timelines within our MultiDimensional Soul’s Holographic resonance! We are all Expanding! How are you handling these upgrades and downloads as we step into Embodying the Divine, our Purest Authentic Self? Within this playshop you will be learning amazing Holographic tools that can assist you as we navigate this Quantum Leap! Staying aligned with the “I AM Presence” through the Field of the Heart…! Accessing the Field of the Heart for Transformation ~ your Portal to OmniPresence! Recalibrating the physical body (nervous system) to assimilate all of the downloads coming in! Tools and specific skill sets to Navigate Consciousness and change your Resonance quickly! 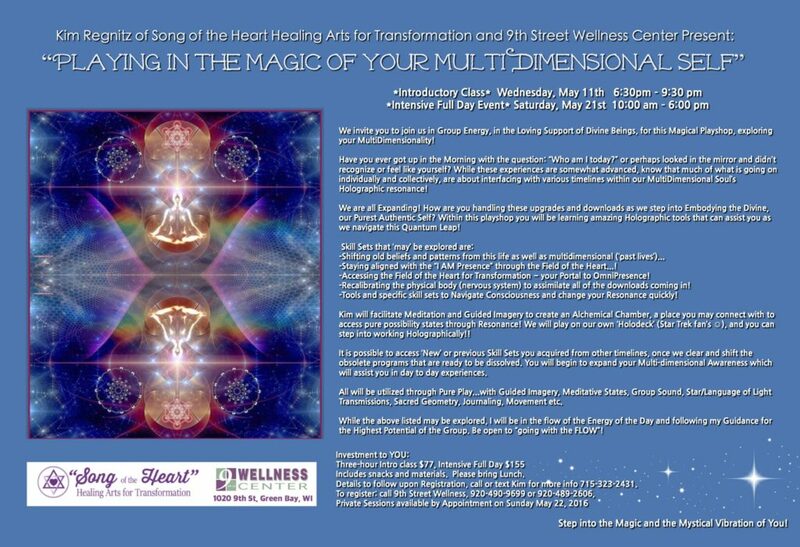 Kim will facilitate Meditation and Guided Imagery to create an Alchemical Chamber, a place you may connect with to access pure possibility states through Resonance! We will play on our own ‘Holodeck’ (Star Trek fan’s), and you can step into working Holographically!!! It is possible to access ‘New’ or previous Skill Sets you acquired from other timelines, once we clear and shift the obsolete programs that are ready to be dissolved. You will begin to expand your Multi-dimensional Awareness which will assist you in day to day experiences. All will be utilized through Pure Play…with Guided Imagery, Meditative States, Group Sound, Star/Language of Light Transmissions, Sacred Geometry, Journaling, Movement etc. While the above listed may be explored, I will be in the flow of the Energy of the Day and following my Guidance for the Highest Potential of the Group. Be open to “going with the FLOW”! Step into the Magic and the Mystical Vibration of You! Within this Gathering, you will benefit individually as well as assisting the entire Collective!